At this archaeological site you’ll find Caana, the highest Mayan structure in Belize, it´s approximately 50 meters of tall. 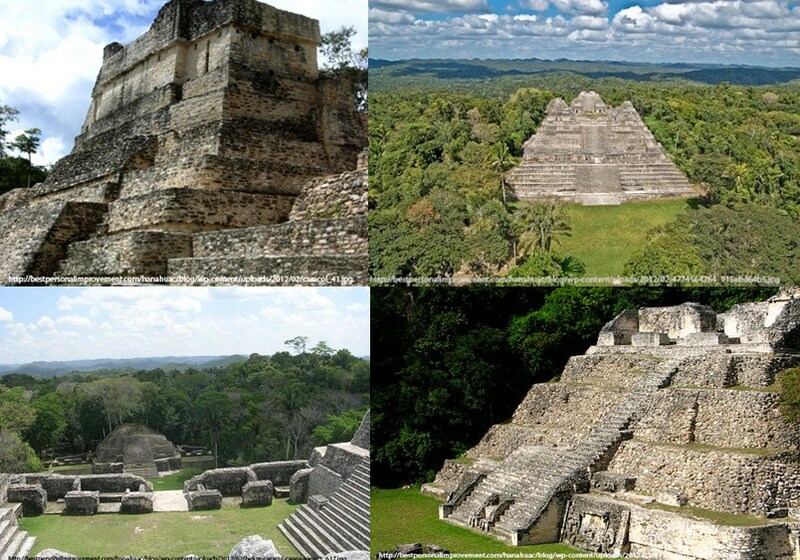 It´s the most important ancient site of Belize followed only by Benque Viejo and Xunatunich. El Caracol is made up by five main squares, and an astronomical observatory, in addition to that, the structures transport you back in time and gives you a historical journey. Until today, there have been found 18 large altars, each with enormous glyphs. Being at this ancient city you’ll see the central acropolis and two arenas where Mayans played ballgame. Can you imagine the feeling of witnessing one of these games? The importance of this place lies not only in its beauty, but because it marked a change in the history of the Mayan cities and ceremonial centers. It´s surrounded by a majestic forest where you’ll forget the routine of work or study stress, and you’ll have a unique experience admiring the live animals in it and towering trees that make you relax. Caracol is located at south of San Ignacio. To arrive, is required to go by car from San Ignacio or Belize City. Live the adventure of visiting Belize and make your visit a good time to remember! 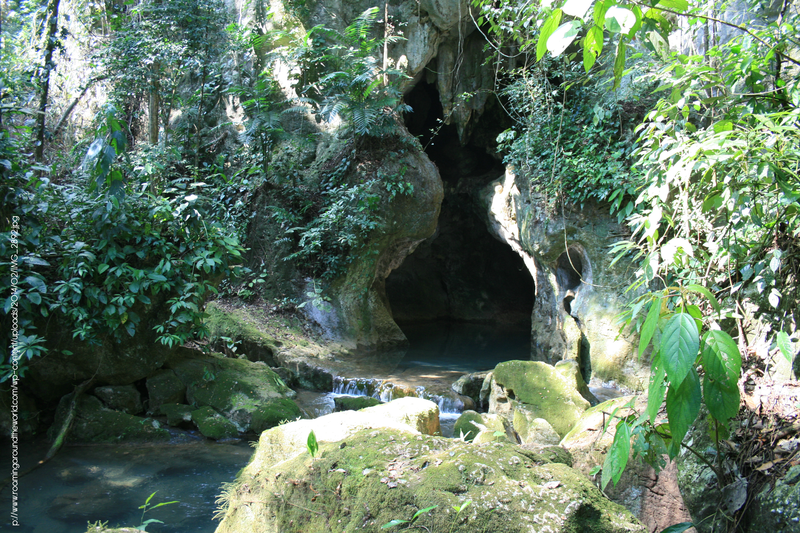 If you are looking for a place to go caving, Belize offers the perfect spot, Actun Tunichil Muknal, which is also known as ATM cave. This majestic place is located at the heart of the natural park reserve Tapir Mountain, 45 minutes from San Ignacio, District Caye. The name Actun Tunichil Muknal translates as “Cave of the Crystal Sepulchre,” and the locals know it as “Xibalba” after the Mayan underworld. It´s one of the most impressive caves in Central America. The site consists of a series of chambers that end in a cathedral where the ancestors performed sacred ceremonies. Visitors will have the opportunity to travel back in time to visit this museum where human sacrifices and artifacts can be seen in its natural context. What can you find at ATM? Arriving at ATM you’ll find skeletons, pottery, rocks and cave formations carved by the Mayans. The skeleton of an 18 year old woman lies in the cave floor. It’s known as the “Crystal Maiden”. Many of the artifacts used for these sacrifices can also be found on the floor. Actun Tunichil Muknal is a protected site and only a few guides are allowed to bring visits to this cave. Do you dare to discover the wonders of this mysterious place? Belize is best known for having filled natural wildlife reserves and magical landscapes where you can relax and travel to a completely different world. This tour will make you live the most memorable experiences. It´s a nature reserve with more than 97,000 acres of wilderness. This territory has huge limestone hills, slopes covered with forests, caves and breathtaking waterfalls. With its ancient Mayan site, it becomes the perfect haven for exotic wild animals. It’s a UNESCO protected area and it’s located in the north side of Ambergris Cay. The reserve has approximately 15,000 hectares. With over 40 different kinds of mammals and 140 species of birds, is a surprising variety of creatures. 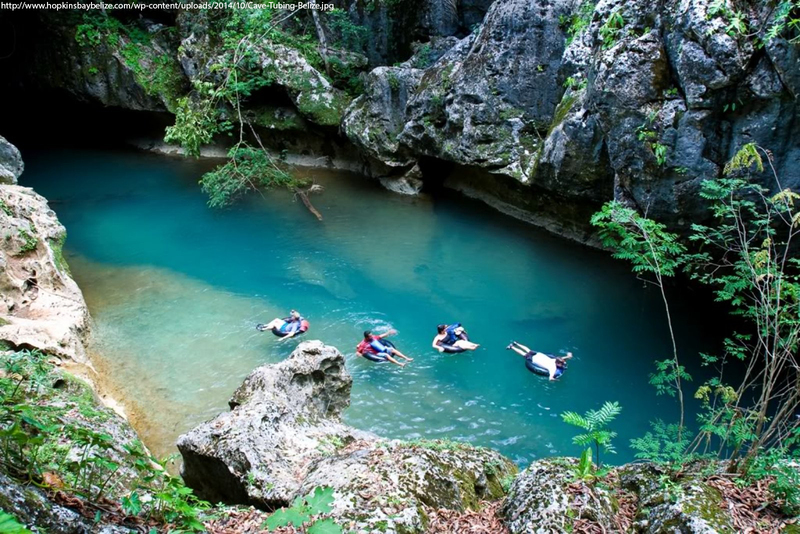 This reserve is located in northwestern Belize, near Sarteneja Village. It has 27,000 acres that houses a wide range of wetlands, forests and lagoons. It’s in the process of being named a National Park. It’s the most beautiful forest in the world and is mostly visited from January to March. In this area you´ll find beautiful geological formations, ideal for caving and connect with a deeper side of Earth. Come and make your own memories of Belize, a country full of history, color and adventure. Why Belize is The Perfect Place to Dive? Belize has the second longest reef in the world, with different depths; from coral gardens to the deeper, large shallow structures in which you´ll have contact with exotic marine animals. It doesn´t matter if you haven´t done it before, you´ll be able to enjoy this majestic sport. If you don´t have the necessary equipment, many dive centers will provide you with it. All year long is diving season. The encounters with whale sharks are almost guaranteed from April to June in the south side of the barrier reef. The weather in Belize is tropical, so it´s warm throughout the year, particularly on the coast line. Summertime temperature is around 24-29 ° C or 84° F, while during the winter it´s around 21 ° C or 70° F.
Belize is a great place for diving. The Caribbean barrier is only about 20 km (13 miles) from the coast. In addition to diving, there are all kinds of attractions: cays, mangrove forests, mountains, Mayan ruins, and more. Remember to bring sunscreen, swimming gear, comfortable clothing and the will to have fun so you can enjoy your stay here, a place full of history, flora, fauna and outdoor activities. When you get to know Belize you´ll never want to leave! When a traveler speaks about the cayes, they usually refer to Ambergris Caye or a Caulker Caye, being the two largest (the former is larger than the second) in the region. Ambergris Caye is richer and is a favorite in package tours, while Caulker is smaller and more suited for backpackers. Because of its tropical Caribbean climate, applying waterproof sunscreen is necessary any time you are doing an outdoor activity such as taking a walk or diving. Sandals, so you can easily take them off and feel the sand under your feet; also bring a swimsuit, sneakers for walking around, and do not forget to bring comfortable light-colored, sun repellant clothing. Buses are quite frequent and cheap. There are also some express buses, but the distances are not too long. To go to the cayes there are ferry services (water taxis) throughout the day. The official language of Belize is English, although the predominant languages are Spanish and Belizean Creole. One US dollar is worth twice the Belizean dollar. It is recommended that you bring small denomination dollars, so you can do your shopping everywhere. To travel to this heavenly country, you can do it from Mexico or Guatemala. Browse through travel agencies for information of tourist packages that are best for you. 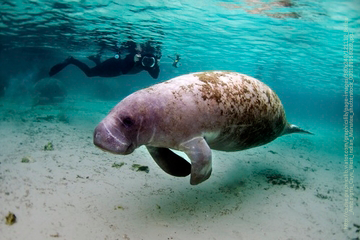 Upon reaching Ambergris Caye or Caulker you can snorkel, swim with manatees and barracudas that feel comfortable being approached by visitors. Those who like sailing can sign up for a trip to the different islands to fish. You can hike through the beautiful forests, walk along the canals filled with crocodiles, know the Mayan pyramids and enjoy bird watching just 30 miles from the city. Let yourself be captivated by the beauty of Belize! Belize is recognized for its incomparable natural beauty, full of coral reefs, caves, virgin forest, waterfalls, archaeological sites, beaches and more. If you’re looking to escape from the routine, you should definitely visit. In order to enjoy Belize´s beauty, you should plan to arrive during the dry season, between December and May. Coral reefs are a destination for expert and novice divers from around the world. The most popular reefs are located on the coast. Belize has the world’s second largest coral reef, the Belize Barrier Reef, extending about 900 km along the coast of Yucatan and Belize. The Great Blue Hole, it´s a huge landslide underwater off the coast of Belize, near the Lighthouse Reef. The hole is more than 300 meters wide and 123 meters deep. The Great Blue Hole is a UNESCO World Heritage. 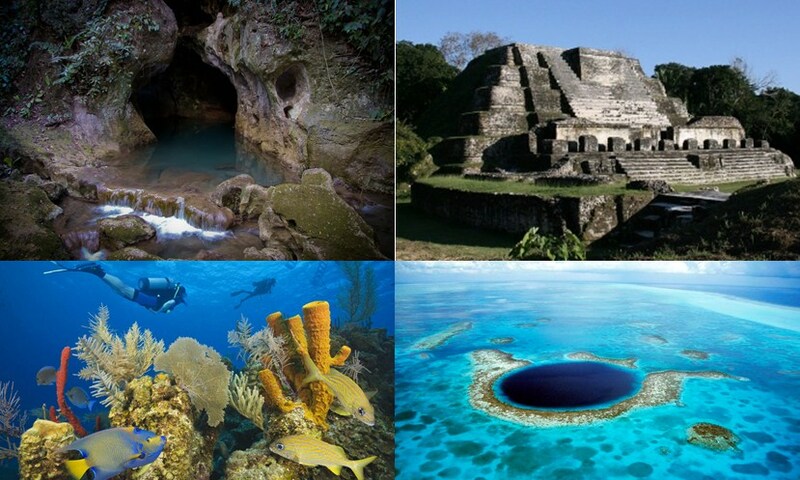 Visit the archaeological sites with ruins from the Mayan civilization. The most beautiful destinations are Altun Ha, the most important site in the country, Xunantunich, Nim Li Punit, Lamanai y Lubaabtum. Practice windsurfing on Ambergris Caye and Long Caye. The swell and wind have made Belize an ideal place for this sport. Those interested in learning windsurfing in Belize can travel in any season. Visit the Actun Tunichil, also known as the ATM cave. It´s located at the heart of the Tapir Mountain Nature Reserve, visits to the cave are only permitted if accompanied by a certified guide. Entering this cave is a complete adventure! Visitors will have the opportunity to travel back in time and learn about the Mayan culture, and witness a living museum where human sacrifices and artifacts can be seen in their original context. What are you waiting for? 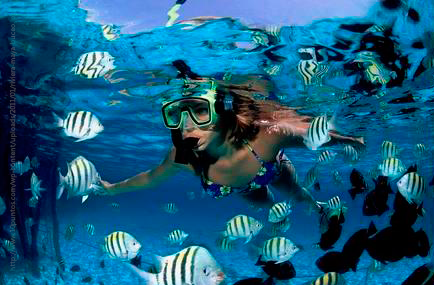 Visit Belize and enjoy all of these activities! Today, the Belize Zoo and Tropical Education Center are settled upon 29 acres of tropical savanna and exhibit over 150 animals, representing more than 45 species, all native to Belize. 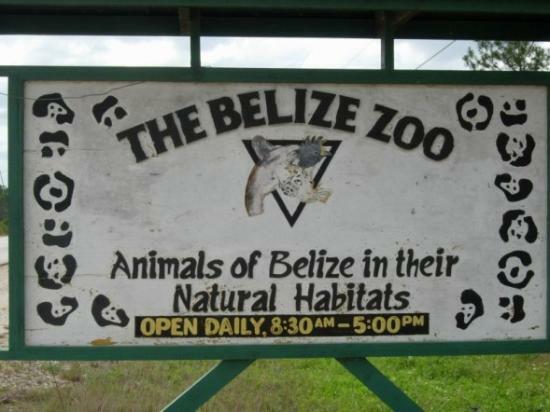 The zoo keeps animals that were orphaned, rescued, born at the zoo, rehabilitated, or sent to the Belize Zoo as donations from other zoological institutions. A visit to the zoo is the best way to get an introduction to the native fauna of Belize, and to understand why it is important to protect the habitats that sustain them. 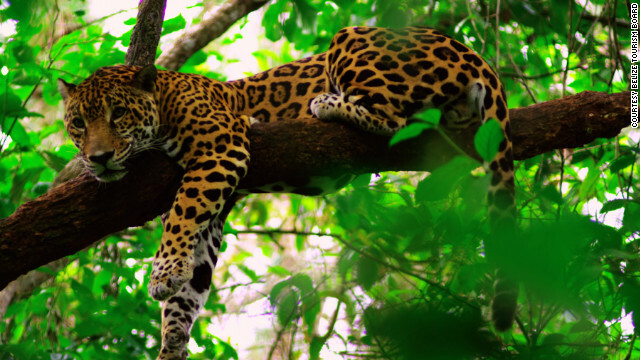 Belize has approximately 145 species of mammals living within its boundaries. Mammals exist within all the different habitats of Belize, from the manatee and dolphins of the coastal zone, to the 5 different species of wildcats that live deep within our lush, broadleaf forests. According to a recent account, Belize supports 543 species of birds. Birds thrive in all of Belize’s habitats. Wading birds congregate along the coastline and inner lagoons. The Belize Zoo supports a small display of the common snakes of Belize including the most dangerous of Belizean snakes, the Fer-de-Lance. The zoo is also home to two species of crocodiles: the Morelet’s and American crocodile. “Rose”, an American Crocodile is an ambassador for her species; she accompanies “Balboa”, a fellow Morelet´s crocodile, on educational programs to make children and adults aware of their importance. Learn about the ecology and importance of Belize’s savanna ecosystem, and witness some of the wildlife found in this unique habitat, such as the endangered yellow headed parrots, armadillos, agouti and grey fox. You can also see the animals at night on the “Behind the Scenes” tour. 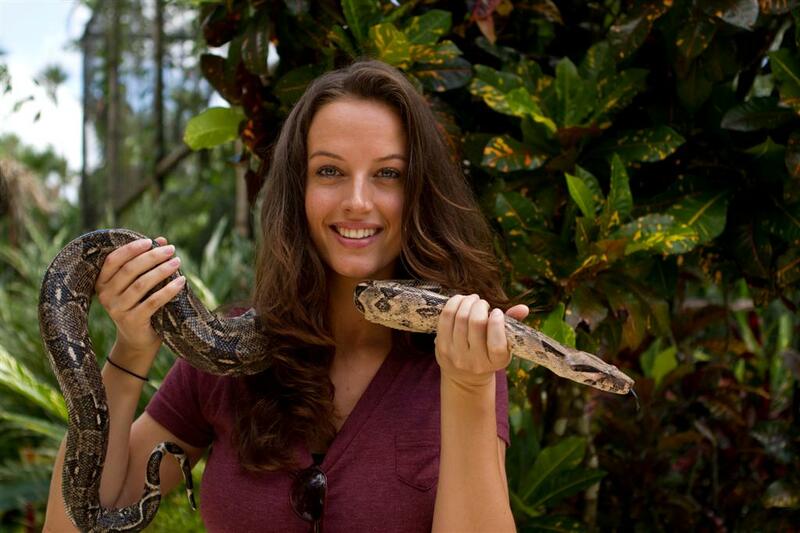 Hold a friendly Boa constrictor. Learn about the natural history of these endangered species from the expert zookeeper guides. See the animals close up in their natural habitat exhibits. The Belize Zoo and Tropical Education Center receive over 54,000 visitors annually, 12,000 including school children as part of the progressive education programs. Popular zoo events include: birthday parties in April for the Tapir, “Junior Buddy” the Jaguar, and “Panama” the Harpy Eagle; summer camps and student career training.